In 1522, St. Ignatius Loyola, the founder of the Society of Jesus, embarked on a journey from Spain’s Basque country to Manresa on a life-changing trek. 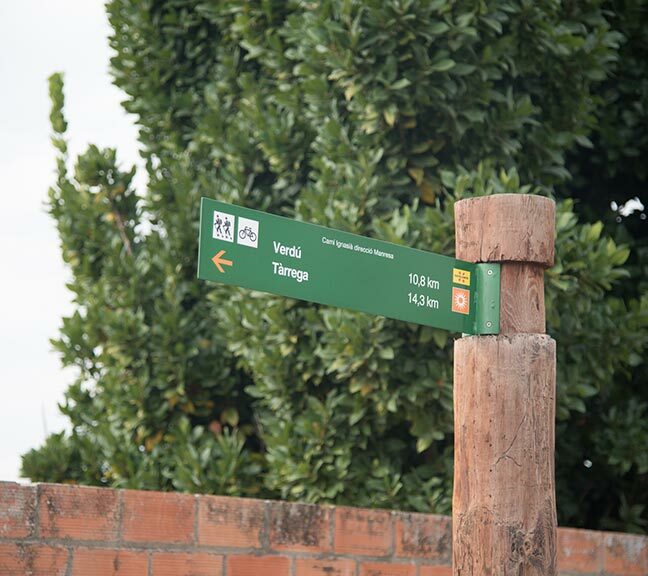 On this pilgrimage, now called “El Camino Ignaciano,” or “The Ignatian Way,” he experienced a profound spiritual enlightenment, which led to the development of the Jesuit religious order. This semester, a group of Gabelli School MBA and Executive MBA students traveled part of the same route, reflecting on their personal experiences and using those reflections to build leadership skills. The trip was part of a course called Jesuit History and Leadership Culture, designed to teach students how life experience, and the self-awareness it generates, are keys to being an effective leader. The trip marked the first time a Jesuit business school has experienced the trek from a Jesuit historical, cultural, and leadership development perspective, said Chris Lowney, FCRH ’81, GSAS ’81, the Fordham graduate and adjunct faculty member who taught the class. The class arrived in Barcelona on Oct. 2 for their 71-mile journey. Each day of the trip allowed time for reading and reflection, with the primary reading assignment being Lowney’s book, Heroic Leadership: Best Practices from a 450-Year-Old Company that Changed the World (Loyola Press, 2005). The “company” in question is the Jesuit order; the book recounts how the Jesuits have been guided by the principles of love, self-awareness, and heroism, all of which are integral to successful leadership. Class member Angel Cardoza, a general manager at Con Edison, said reading Heroic Leadership was influential and beneficial throughout the weeklong journey. 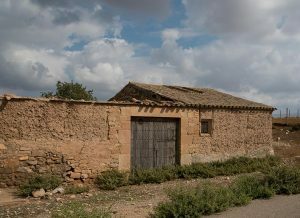 The on-foot journey got underway in Palau D’Anglesola, a village in the province of Lleida within the community of Catalonia. The group walked between 10 and 15 miles daily, passing rolling plains and valleys as well as cultivated grain fields and vineyards. Starting on their second day, two students from the group took responsibility for keeping the rest on schedule. Each day a different pair shared this task, representing the different people who take on a leadership role and help a company keep moving. These types of experiences taught the group “about perseverance, planning, coaching, empathy, setting goals that will carry us forward, and, above all, about being self-aware people with a deep sense of purpose,” Lowney noted. Along the way, the students spent a night in Igualada, a municipality in the province of Barcelona. The history-filled city contains narrow, irregular streets as well as remainders of ramparts and a fortress dating back to the 11th century. Surrounding this “old town” is a newer one with wider streets and luxurious homes. The last leg of the trip brought the group to Manresa, the capital of the comarca of Bages and a place of pilgrimage for Catholics everywhere. It is the place where St. Ignatius stopped to pray on his journey and read in isolation in a nearby cave over the course of one year. There, he created the Spiritual Exercises. The group returned by bus to Barcelona with new memories and meaning gained from their expedition. Overall, the Camino journey gave students a chance to reflect upon their working styles and gain a clearer view of themselves to help them in their leadership roles.